Radcliff Kentucky south of Fort Knox and is just north of Elizabethtown. Folks looking at real estate in the Radcliff area or homes for sale throughout Central Kentucky, will find a vibrant community with many things that make the town of Radcliff great. There are a number of parks in Radcliff. On the north side of the city is Radcliff City Park. Skate boarders can enjoy the Skate Wave Park, which provides boarders with a safe place to do tricks and other jumps. A disc golf course is open to the public and provides a great source of fun for people of all ages that and is free. All that is needed is a Frisbee. A good-sized playground keeps kids busy for hours. There are picnic tables, restrooms and more at the park. Other popular parks include Dawley Park and Duvall Park. The Radcliff City Pool keeps families cool during the summer months with pools and a water slide. One of the biggest attractions in town is Saunders Springs Nature Preserve. The Preserve has a number of activities for individuals and couples to enjoy. Many trails go throughout the park. Folks can see a variety of birds and animals that live in the Preserve. People can have picnics and take advantage of BBQ grills that are available to use. Trees abound in the area as does ferns, flowers, vines and shrubs. The Colvin Community Center hosts many community events during the course of the year. In addition to this, various classes are held at the Center including exercise classes. Aquatic classes and lessons are at the Radcliff City Pool. One of the biggest events of the year in Radcliff Kentucky is the Summer Blast. Held every summer, Summer Blast has activities for people of all ages. Live music from local entertainers occurs every year. Various games are held at the Radcliff City Pool and other areas in town for kids. During the event, the Miss Radcliff Pageant is held. Other events that bring folks in from the surrounding area including Fort Knox and Elizabethtown are Radcliff Day, the Community Yard Sale and Christmas @ the Cabin’s. People living in Radcliff homes are served by Hardin County Schools. There are four elementary schools in town and they are Woodland, Meadow View, North Park and Radcliff. The middle school is the North Middle School Spartans. There are two high schools in Radcliff. The first is North Hardin High School. It has about 1500 students. The second high school is John Harden High School and has students in attendance from nearby Elizabethtown. There is a private Christian school and that is North Hardin Christian School. It is operated by Fellowship Independent Baptist Church. Local schools stress individual student achievement and desire every boy and girl to succeed. Radcliff is in a growing area of the state. It has many attractive real estate options for people to consider when looking at the surrounding area. A strong community, many ongoing activities and much more make Radcliff a fine place to live. 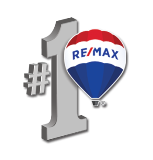 The Clinkenbeard Extreme Team helps with buyers, sellers, property management, rental placement and more in Radcliff, Elizabethtown, Fort Knox and other Central Kentucky areas. Contact us today to let us assist you with your real estate needs.